Bill and Peggy Sproul are owner-operators of the Sproul Ranch, located on the southern end of the Flint Hills near the Oklahoma border. They manage a custom grazing service which incorporates Intensive Early Stocking on native bluestem grass as well as full season cow/calf grazing. 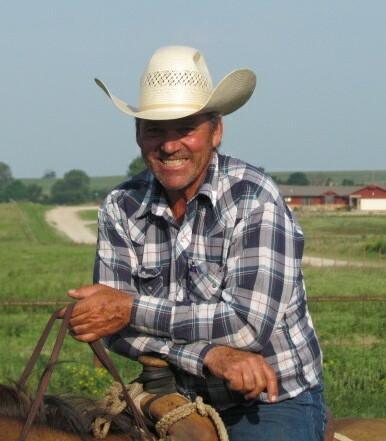 Bill is active with the Kansas Grazing Land Coalition. His past positions have included Chair of the Ranchland Trust of Kansas, Chair of the Tallgrass Legacy Alliance and past board member of the Partnerships of Rangeland Trusts and the Sedan Area Foundation. The Sprouls have received numerous awards and recognition for their conservation practices, including the National Cattlemen’s Beef Association Environmental Stewardship Award for Region VII, the Society for Range Management Excellence in Grazing Award, the Land and Soil Wildlife Conservationist Award from the Kansas Wildlife Federation, and the Kansas Farm Bureau Natural Resource Award. Most recently Bill and Peggy were the recipients of the initial Leopold Conservation Award in Kansas.